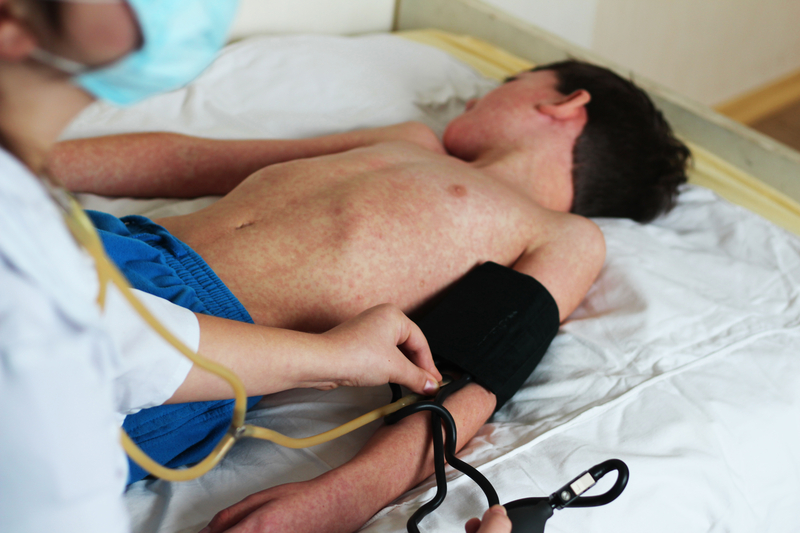 A New York county implemented a ban on unvaccinated children in public places Wednesday amid a record-setting measles outbreak that prompted a state of emergency declaration. People under 18 who have not been vaccinated against measles are barred from places including malls, restaurants, schools and even houses of worship in Rockland County for at least 30 days, reported CNN. Day also said he believes the ban is an unprecedented step in the U.S., reported the AP. Violating it could result in a misdemeanor charge that carries up to six months in jail. Rockland County is in the middle of the state’s longest measles outbreak since 2000, the year health officials declared the disease had been eliminated in the U.S.
More than 150 people have been infected since fall 2018, when seven unvaccinated people diagnosed with measles entered the county, reported the AP. That number compares to the 314 measles cases that have been confirmed in total in the U.S. in 2019 alone, according to the Centers for Disease Control and Prevention. Rockland County, which is north of New York City, has a population of about 330,000 people. Right now, less than 73 percent of people under 18 have been vaccinated against measles in Rockland County, Day said. Health officials recommend the community reach at least a 92 percent vaccination rate. The measles outbreak has also been especially hard on the area’s Orthodox Jewish community, which tends to have a lower vaccination rate. Day’s announcement comes after a federal judge denied a request in March from parents of unvaccinated children to let the kids into a Rockland County Waldorf School because of the “unprecedented measles outbreak.” Attorney Michael Sussman represents the parents of those 44 children and said he might challenge the county’s emergency declaration, reported the news agency. The county’s drastic action comes weeks after a 10-year Danish study of more than 650,000 people was published in March showing no evidence there is a link between autism and the vaccine for measles, mumps and rubella.